I’m extremely pleased with Minerva Canada’s numerous accomplishments over the past year including advancing some new initiatives that will carry into 2016. In 2015, we saw 160 engineering professors participate in our one-day Learning Forums held at McGill University, Queen’s University and York University. We also saw over 50 business professors attend a Learning Forum organized by Fanshawe College and Brock University at Fanshawe. Our Learning Forum activities continue to be one of our core educational activities drawing rave reviews from those attending. The development of our second round of Teaching Modules was well underway in 2015 and included new universities and industry organizations in creating them. With 12 modules already on Minerva’s website, we hope to see another 10 modules on our website early next year. 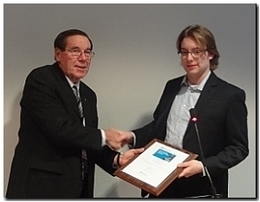 Our student award activities continued to generate very strong participation from engineering, business students. I’m also very pleased to see the progress we made this year in advancing another new engineering student award with details to be announced next year. We are also looking forward next year to the results of a study, which Minerva has contracted St. Mary’s University to do, on how best to advance Health and Safety education in our Canadian Business Schools and what’s needed. All in all, it’s been another busy year for Minerva Canada. Our many accomplishments are a reflection of the hard work, endless assistance and support from our many volunteers from industry, government, academia and H&S professional associations who make up our Board of Directors and Working Groups. I am also very grateful to our many sponsors whose continued support and financial assistance make our efforts at Minerva Canada to advance health and safety education possible. Without this support, Minerva would not exist as an organization. I hope you will enjoy this edition of Update as well as the new look of our website. We welcome your comments and suggestions by contacting us at minerva@safetymanagementeducation.com. An ever-growing roster of post-secondary institutions from across Canada – Dalhousie, University of Toronto, Ryerson, University of Ontario Institute of Technology, University of Western Ontario, Laurentian, University of Waterloo, University of Manitoba, Queen’s, University of Calgary, University of Alberta, University of British Columbia, and Fanshawe College – are involved in the creation of the modules. Teams comprising engineering professors and student interns work on the development of one or more modules, alongside industry experts such as Nova Chemicals, Trimac, Imperial Oil, Bruce Power, BC Hydro, General Motors, and Shell Canada. All modules are free for any professor to download and use and most of the modules also have a set of questions to test students’ learning. “It’s our generous and committed sponsors that make it possible for Minerva Canada to embark on projects like this,” says Tony Pasteris, President and Chair, Minerva Canada. In addition to Mitacs, the project has received a grant from the Ontario Ministry of Labour, Mitacs and special added funding from DuPont Canada, Imperial Oil Limited, General Motors, Bruce Power, Nova Chemicals, Shell Canada, the Canadian Society of Safety Engineering (CSSE), and the Board of Canadian Registered Safety Professionals. Other important financial sponsors of this initiative include Erco Worldwide, BASF, CF Industries, MIRARCO, Canada Post, Chemtrade Logistics, Chemistry Industry Association of Canada, H.L.Blachford, Dow Chemical, Nexen. Since the first forum in 2004, these national events continue to evolve. This year saw a Quebec university as a host for the first time. And Minerva also continues its inclusive academic focus by reaching out to not only engineering professors, but business faculty as well by conducting the Fanshawe/Brock forum at Fanshawe’s Lawrence Kinlin School of Business. Graeme Norval, University of Toronto, leads panel discussion at the York University Forum. The Minerva Forum Planning Committee included members from Minerva’s Board of Directors as well as Minerva’s academic hosts from the four universities and colleges who had conference calls every other week since late January. Engineers as Entrepreneurs: Health and Safety Issues, specifically for business schools, is undertaking a study on small and medium sized enterprises, young workers and safety culture. “We need a better understanding of the nature of workplace environments for young workers and the extent to which safety culture exists in small business. Traditional job paths are changing – there are now more entrepreneurial endeavours. When teaching, remember that many of your students may be starting their own business.” The study, still in its infancy, will be the first of its kind. Dr. Deborah McPhee at the York University Forum. Alidad Amirfazil, York, presented the importance of linking ethics and safety. “You have to hit students multiple times, painting a picture for them early on that safety should be a consideration, so they get the message and internalize that safety is a key issue.” He suggested utilizing cases that have both moral and safety components, like the Walkerton water quality tragedy and the Lac Megantic rail disaster. “I’ve seen great success with first year student groups who are given projects to solve problems through engineering. They often come up with patentable solutions! We are always astounded by young engineers who get it if they are given the challenge to solve the problem.” Vic Pakalnis, President & CEO, MIRARCO Mining Innovation, Laurentian University. “There is a huge opportunity presented by looking at university and college labs – the roles and responsibilities of both personnel and the students – and the application of corporate industrial SHE models to those labs.” John Dony. “In year one, there tends to be some confusion around terminology. When we talk about health and safety, we talk about it all, not just occupational.” Ralph Buchal. The forum wrapped up with an Awards reception and dinner, featuring speakers Ayumi Bailly, Minerva Board Member and Director, Stakeholder and Partner Relations Branch, Ontario Ministry of Labour, and Elizabeth Mills, CEO, Workplace Safety & Prevention Services. Mills was one of this year’s recipients of the Minerva Education Awards of Honour, presented at the reception. 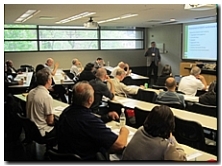 The Minerva Safety Forum was held at McGill University on June 9. There were 44 attendees from several local universities (McGill, Polytechnique, Université du Québec à Trois-Rivières, Université du Québec en Abitibi-Témiscamingue (UQAT), ETS and University of Ottawa) and representatives from local industry and consulting firms (Cansolv and Pyrogenesis). A key topic was the integration of safety modules into the undergraduate curriculum (with individual modules such as risk management, risk assessment and management and electrical and nanotechnology safety highlighted). Other topics included integration of safety culture into industry (John Blachford from H. L. Blachford & Sons Ltd.) and integrating occupational health and safety into a mechanical engineering curriculum (Prof. Sylvie Nadeau, ÉTS). The day ended with a lively panel discussion on risk management and safety as new Canadian Engineering Accreditation Board (CEAB) student attributes are included in the accreditation process. 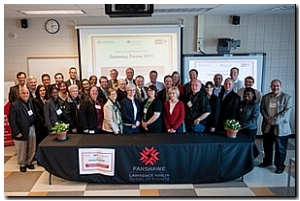 Over 50 provincial and national academic and industrial colleagues attended the Fanshawe-Brock Learning Forum, held on May 1 at Fanshawe College in London, Ontario. Academic participants included faculty, graduate and undergraduate students as well as recent graduates from Canadian colleges and Universities. The forum began with welcome messages from Mary Pierce, Chair of Business School, Dr. Bernard Cecil, Academic Vice President of Fanshawe College as well as Dr. Deborah McPhee on behalf of Dr. Don Cyr, Dean of the Business School, Brock University, The Hon. Deborah Matthews, MPP London North, and Tony Pasteris, Chairman and President, Minerva Canada. A number of Fanshawe students participated in organizing this event with many academic participants reporting positive learnings from the forum. Based on the follow-up messages received from participants, the forum succeeded in linking students with industry. As the lead host site of the event, Fanshawe was very impressed by all the positive feedback received from the participants and believe the forum was a success! Andy Ashworth, an engineer with Bombardier, presented how the company integrates safety into its design process. In addition, a lively panel discussion saw Forum attendees interact with panel members Graeme Norval and Morgan Davidson, University of Toronto, Marc Aucoin, University of Waterloo, Jeff Pieper, Canadian Engineering Accreditation Board, Tiffany Sabiston, Lafarge Canada, and Marianna Kontopoulou, David Mody and Mario Morin of Queen’s University. Watch for details of the 2016 Learning Forums. The brainchild of founding members Bruce Power, The Conference Board of Canada and Workplace Safety & Prevention Services, the CEO Health + Safety Leadership Network is a group of leaders – CEOs, Directors, operational and informal leaders – who are stepping beyond the bounds of their own organizations to spur health and safety transformation on a much larger scale. Minerva is proud to be a member of this initiative. “Network members are forward-thinking leaders who embrace their role, both collectively and individually, as champions and influencers in the growth of sustainable businesses and communities,” says Elizabeth Mills, WSPS President & CEO. “We are working together to shape health and safety policy, exchange knowledge and ideas, and we will be collaborating with other provincial networks on the development of a strategy to create a truly Canadian culture of health and safety.” Through the Network, Mills will call on CEOs to sponsor Minerva Canada’s Engineering Student Health and Safety Teaching Modules. Tony Pasteris [right] presents one of two Minerva Canada Education Awards of Honour to Elizabeth Mills, President & CEO of WSPS. Recipients of this year’s Minerva Education Awards of Honour are Elizabeth Mills, President and CEO of the Workplace Safety and Prevention Services (WSPS), and Dr. Paul Amyotte, Professor of Chemical Engineering, Dalhousie University, and past President of Engineers Canada. The awards, established in 2011, recognize individuals from academia, government, industry and health and safety associations for their long-standing contributions to advance health and safety education in Canadian post-secondary teaching institutions. 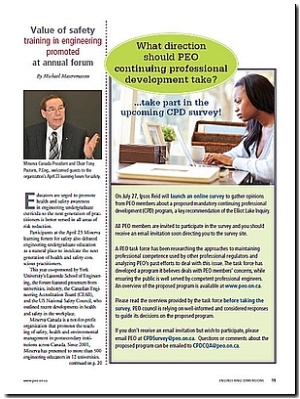 “In a way, it’s our own Education Hall of Fame,” says Minerva Chairman and President Tony Pasteris, who presented the Awards at the 2015 Learning Forum held at York University in April. Mills was recognized for her outstanding contributions as a health and safety ambassador in government, business and academic spheres. A strong supporter of Minerva, she was instrumental in opening the doors for it to participate in the CEO Health + Safety Leadership Network, a collaboration of corporate leaders committed to building a province-wide culture of health and safety. WSPS is a dynamic $43 million, not-for-profit organization charged with the responsibility to make Ontario and Canada’s employees healthier and safer and to make businesses more prosperous. When Mills joined WSPS in 2009, she came with the desire to put health and safety solutions within the reach of every employer and employee in Ontario, and embraced the vision to eliminate all work-related injuries, illnesses and fatalities. Dr. Amyotte was recognized for his many contributions to furthering health and safety and risk management in the education of engineers. As past President of Engineers Canada and a former Chair of the Canadian Engineering Accreditation Board, he was a key architect in prescribing more inclusion of safety and risk management in the new engineering student attributes. In addition, he was one of the key architects who organized the first Minerva Summer Institute for engineering professors in 2004 at Sarnia, Ontario. He oversaw one of Minerva’s teaching modules and is currently leading an effort at Dalhousie to see how best to incorporate Minerva’s H&S engineering student teaching modules into its curriculum – this work will be shared and will benefit other Engineering schools in Canada. A hearty congratulations to Iman Chalabi, an engineering undergraduate student at the University of Toronto, who clinched this year’s top prize. Chalabi impressed the judges for his design of a ‘smart tank’ rail car that renders crude oil cargo non-flammable in the event of a train derailment or collision. “I’ve always wanted to participate in the Minerva competition and have had several ideas over the past few years,” said Chalabi. “But when I read a news article about the accident in Quebec, I decided I wanted to work on that problem.” Chalabi was referring to the July 2013 derailment tragedy in Lac-Mégantic, Quebec. The team of Alex Dragojlov, Ben MacNally, Kevin Mitchell, Osama Siddique and Kyle Stewart, all mechanical engineering undergraduate students at McMaster University, took second prize for designing a system to address musculoskeletal disorder (MSD) related injuries in the upper and lower back brought about by repetitive tasks and awkward work environments. 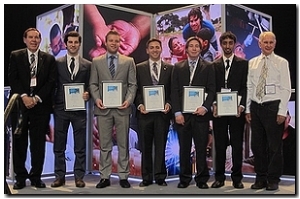 Chalabi was awarded the first prize of $3,500, and the runner-up team $1,500. 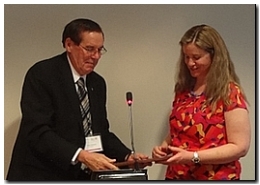 Elizabeth Mills, CEO of Workplace Safety & Prevention Services (WSPS), and Pasteris presented the awards at the WSPS Partners in Prevention Conference in Mississauga, Ontario on April 30. The team from McMaster University accept their awards for second prize. The annual competition challenges Canadian university engineering students to make an original contribution toward integrating safety into engineering design. The award honours former University of Toronto President and Dean James Milton Ham whose Royal Commission Report on Health and Safety led to the creation of Ontario’s Occupational Health and Safety Act in 1979. Professor Ham served as Dean of U of T Engineering from 1966 to 1976 and as U of T President from 1978 to 1983. So strong were the submissions this year that two other teams warrant an honourable mention. The University of British Columbia engineering team of Andrew Wong, Kome Eto and Ada Liu designed and built a prototype of a hydraulic portable valve operator and conducted field tests. Also, the U of T team of Shatha Abuelaish, Fei Ba, Priyadeep Jaswal and Alex Lui worked very closely with the Hamilton Professional Firefighters Association and received strong endorsement for their design of a web and mobile-based system for capturing firefighters’ exposure and medical data. Students interested in entering the 2016 competition should visit www.safetymanagementeducation.com/james-ham-safe-design-awards/ for rules, entry form and important dates. Congratulations go to the teams from Simon Fraser, Dalhousie and Concordia universities for clinching the Minerva-sponsored Health and Safety Human Resources event at this year’s Inter-Collegiate Business Competition (I.C.B.C.) held at Queen’s University. The case study, hosted by Canada Cement Lafarge, focused on Sustainability. 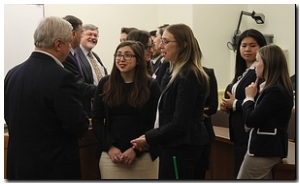 I.C.B.C., Canada’s premier undergraduate business case competition annually attracts close to 250 attendees, including competitors from around the world as well as judges, faculty advisors, student organizers and volunteers from over 40 universities and 10 countries. Minerva Board members Lynn Smith, Vic Pakalnis, Steve Horvath, Peter Sturm and Larry Masotti, acted as judges of the six student team presentations in the Human Resources Venue that involved the analysis of a case study focused on health and safety and sustainability. The ICBC case studies sponsored by Minerva Canada are on its website. This year’s winner, Honeywell Aerospace, delivers technologies, products and services to virtually every commercial, defense and space aircraft, and its turbochargers are used by nearly every automaker and truck manufacturer around the world. It received the award for outstanding business achievement through the integration of employee health, safety and environment management. Leveraging its well-documented business and management system and integrating Health, Safety and Environment (HSE), Honeywell Aerospace has experienced significant improvements year over year in these key areas. The award selection process includes rigorous assessments such as site visits and comprehensive evaluations of an organization’s integration of its EHS management system and the impact it has on the bottom line. 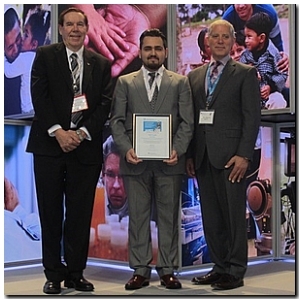 The Award is promoted by an international partnership of 21 organizations, including Minerva Canada. It seeks nominees worldwide and, this year, Minerva’s Board members Tony Pasteris and Peter Sturm each reviewed two submissions. For more, visit www.thecampbellinstitute.org/campbell-award/campbell-award. Minerva Board member Anis Haque, PhD, PEng, Senior Instructor and Associate Director of Students, Department of Electrical and Computer Engineering, University of Calgary, received a Teaching Excellence Award earlier this year from the university. This recognition follows on the heels of his selection as a recipient in 2014 of a Minerva Education Award of Honour. 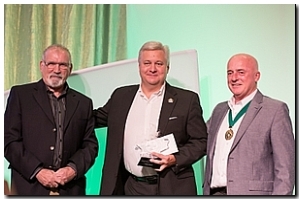 Congratulations to Peter Sturm, Minerva Vice President and owner of Sturm Consulting, who was named The Canadian Society of Safety Engineering (CSSE) Safety Professional of the Year at a ceremony in Ottawa this September. Sturm, who sits on a number of volunteer boards including the Centre for Safety and Health Sustainability, the Board of Canadian Registered Safety Professionals, and the CSA Group, recently took on the role of Vice President of Minerva Canada. The award recognizes outstanding service to the CSSE community or the OH&S profession. 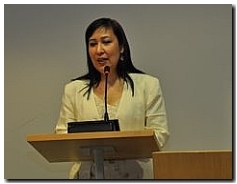 Minerva created the new position of Vice President and appointed Sturm. His role will include advancing Minerva’s strategic priorities. “Well done, Peter,” says fellow Minerva Board member Vic Pakalnis of MIRARCO Mining Innovation, Laurentian University, “You are a true champion for safety!” Read more. 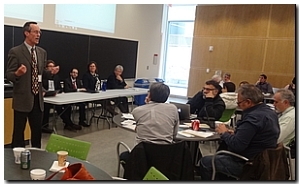 – Panel Participation at Engineers without Borders Conference, Montreal, January. – CIAC Chemistry 2015 Conference conference, Toronto, April. – Board of Canadian Registered Safety Professionals (BCRSP) Symposium, Vancouver, May. – Worksafe BC Meeting, Vancouver, May. – Administrative Sciences Association of Canada (ASAC) Conference, Halifax, June. – European Network Education and Training in Occupational Safety and Health (ENETOSH) Joint Workshop on Mainstreaming OSH into Education, Spain, October. – Canadian Union of Public Employees (CUPE) on Advancing Health and Safety Education In Canadian Post Secondary Teaching Institutions, July. 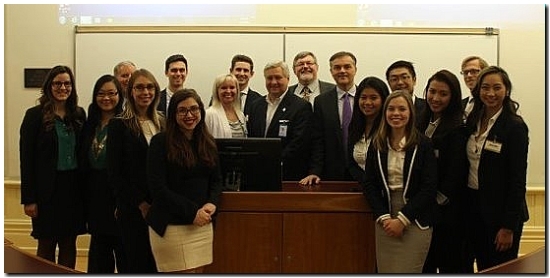 – Meeting at the University of Windsor School of Business, Windsor, October. – ICSMRI 2015 International Mining conference, Sudbury, October. 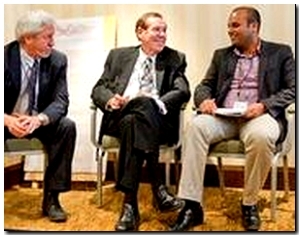 – Meeting with Ontario College Occupational Safety, Health Administrators, October, Seneca College, Toronto, October. 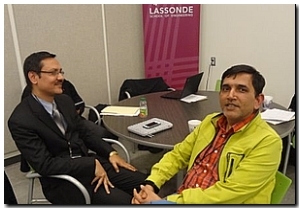 – Meeting with National Council of Deans of Engineering and Applied Science, Halifax, November. [left to right] Yves Hamelin, Arkema Canada, Minerva’s Tony Pasteris and Avinash Baskar, BASF Canada, were part of a panel discussion at the Engineers without Borders conference. 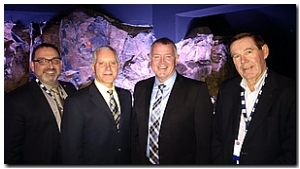 [left to right] Sudbury MPP Glenn Thibeault, Minerva’s Larry Masotti, Minister of Labour Kevin Flynn, and Minerva’s Tony Pasteris at the ICSMRI Mining conference in October. – “DuPont Canada Supports Gound-breaking Health and Safety Training for Engineering Students,” DuPont Inside the Oval, May. President – Turner Safety Systems Ltd.
A heartfelt thank you goes out to outgoing Board members John Foster, SHEA, Product Stewardship & Sustainability Manager, E.I. DuPont Canada, and Maria Papoutsis, Director, Health & Safety Policy Branch, Ontario Ministry of Labour. Minerva Canada greatly appreciates all the time and effort they both put in to improving the organization and making healthy and safe workplaces a stronger focus in post-secondary education. Minerva Canada was initiated in the mid ‘80’s from Project Minerva, first started in the USA by the National Institute for Occupational Safety and Health (NIOSH). We extend a special note of appreciation to the five founding sponsor organizations of Minerva, with which we continue to enjoy a fruitful relationship. We appreciate your feedback. Tell us what you think: minerva@safetymanagementeducation.com. Building tool for students to self-assess leadership attributes, both individually and team wise that will allow them to track progress over the years and give them tools to grow and develop. Online resource for workplace injury prevention information from WorkSafeBC and elsewhere on the Internet. The industries and topics provide safety news, updates and resources.